There are many parallels between surfing and cooking starting with the fact that both can be an adrenaline rush. But has there ever been a surfer’s cookbook? That was the question I asked Jim Kempton, a jourmalist, chef, restaurater and surfer. 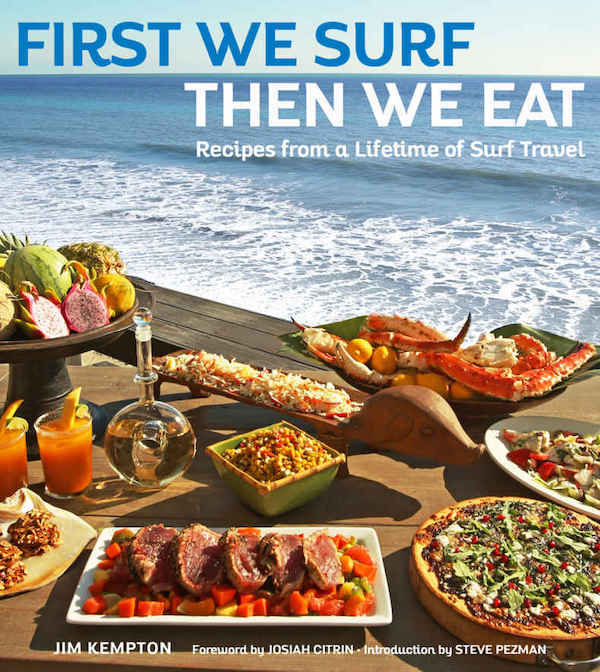 Kempton is the author of First We Surf, Then We Eat: Recipes from a Lifetime of Surf Travel. The answer? Not like this one. Even though I’m not a surfer (yet!) I love this book which combines the best of a memoir and travelogue with recipes. Recipes run the gamut from banana pancakes from Hawaii, Basque tuna steaks, machaca and eggs from Mexico and Rujak, a spicy sweet fruit salad from Bali. How important is the communal aspect of dining to you and to surfers in general? It’s important to me because it’s part of what attracted me to certain cuisines, even though we don’t always practice it everywhere it is very important in some places. It’s especially true for surfers. A lot of surfers don’t cook so they dine with whoever does! Surfers travel a lot and so it’s also practical. Also bringing it [BRINGING WHAT? ]brings back the communal aspect of living, the idea of hanging out with people is missed and is being revived. Eating together is a way to do that. How have you gathered recipes from so many places? From chefs, other surfers? Every recipe I have is something I came across somewhere—a friend, at a hotel, a restaurant—and I was so taken with it that I had to learn it. The hardest thing was standarizing the recipes because I’d been cooking them for so long I never thought about it. Recipes were on the back of envelopes or tucked into books or in books I’d received as gifts. I learn so much from reading cookbooks. The same way I learned to surf! Unless you go to school, there’s no way to learn except by doing it. Both my parents loved to cook. We lived in a lot of places where you cooked differently. I always enjoyed it and was an observer of it. You grew up in Guam and have some recipes from Guam, what can you tell me about it? I would say, it has some of the best fish dishes, although no match for Tahitian restaurant cuisine which has a French influence. The fresh fish and variety there is incredible. What are your favorite surf destinations for food? People don’t think of the Atlantic coast of France but it has great waves. It’s also a beautiful coastline, the Basque country with rocky ledges and long stretches of beach are amazing. Stop anywhere and the food is great and the quality is high. The food in Bali is really a fusion of different Indonesian elements and the Caribbean with different cultural influences from other places. It’s tropical but there are different kinds of dishes you wouldn’t find ther. The food in Morocco is getting better all the time. Peru is a booming place for food. What’s your favorite comfort food recipe from the book? I was raised in the South Pacific and Southeast Asia. My wife was born in Southern California. She wants rice and beans and I grew up on rice and noodles. So the first recipe is Pancit noodles. It’s one of the first things I learned to cook along with fried rice, I have one fried rice recipe from Peru and another from Hawaii and another from Central America. Fried rice is a good way to clean out the fridge! Another is soups and I have quite a few soup recipes. Soups are better the next day. The eggplant and shrimp soup is a favorite. What’s your most impressive recipe from the book? The Moroccan lamb with fruit. You can’t screw it up. Cooking with fruit is not something Europeans have done since the Middle Ages but the Arabs have always done it. 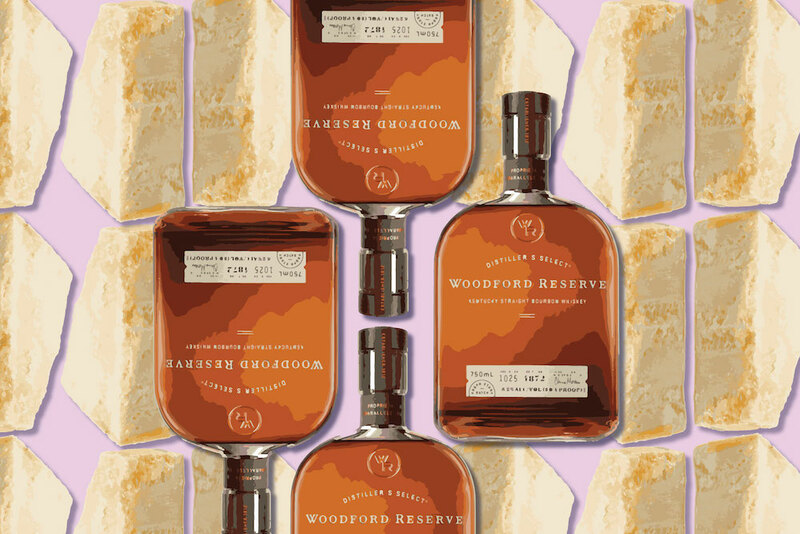 The combination of savoriness and sweetness, and the textures, is a real mind blower. It’s got the wow factor.